If you’re not familiar with the dispiriting tale of Little Oasis Crazy Skate park in Cliftonville; a tale of community spirit and council bulldozers, just read this from Vice. Suffice to say a group of people built a cracking little skate park on derelict land owned by the council. It flourished with really good community support. Then in March last year at crack of dawn the council, on the order of then Thanet District Council (TDC) Chief Executive Sue McGonigal, backed by then Council Leader Clive Hart, bulldozers were driven through it, ostensibly due to ‘elf and safety concerns. 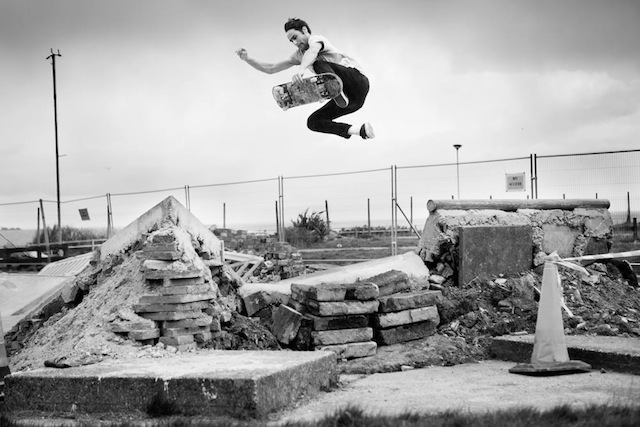 1: Thousands of people have said that they want the Oasis site on the seafront in Cliftonville to be used as a skate park. They believed that a community-built and run skate park would be an asset for the community and an attraction to visitors. 2: Do you agree with them that the site should be a skate park? If you do agree, how will you use elected office to achieve this goal? 1: TDC driving their bulldozers through your little haven of skate joy was a disgrace. They should crawl through the rubble to apologise and they should damn well hand over the site to you all to make Kent’s best skate park, run by yourselves. 2: As a member of parliament I’ve pledged to put £1,000 pounds of my own salary back to the community each month. You’d be high on the list of first groups to donate too. Second, as a councillor I’d be lobbying the council to earmark that land for you and allocate funding for you to rebuild it according to your plans; twisting arms to make that happen. That it’s still derelict a year later is a joke. ← Taking the Mickey out of Margate?